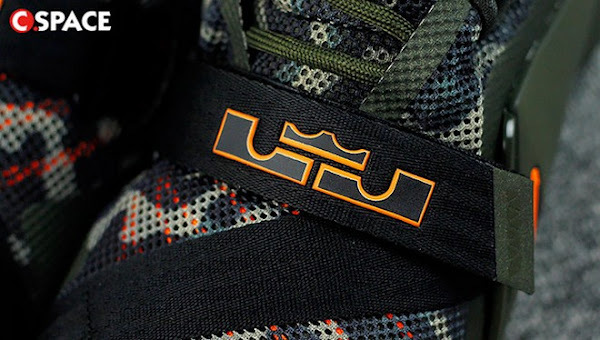 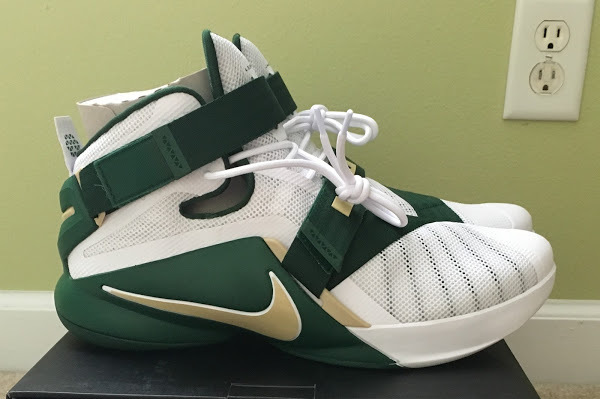 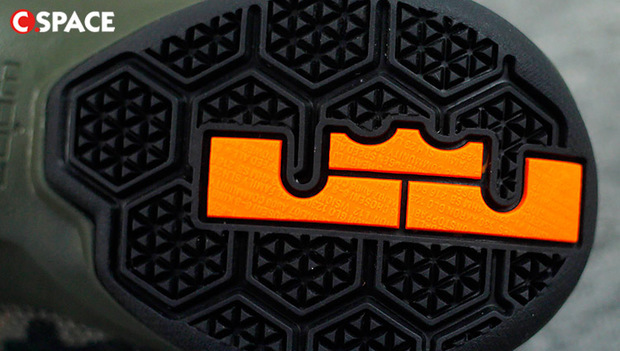 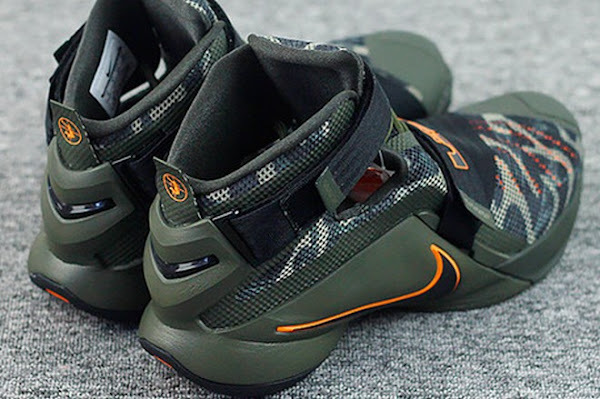 Nike has scheduled at least 6 different colorways of the Nike LeBron Soldier 9’s to lanuch next month. 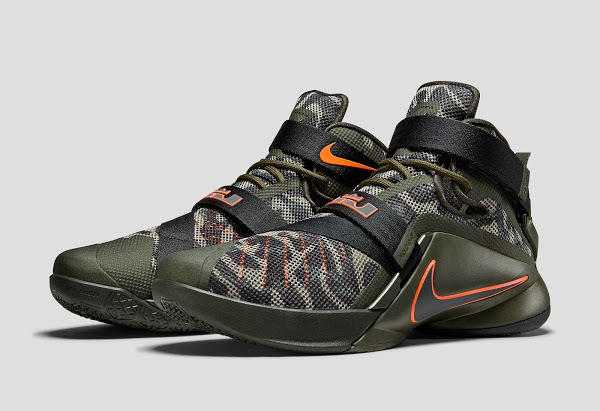 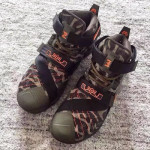 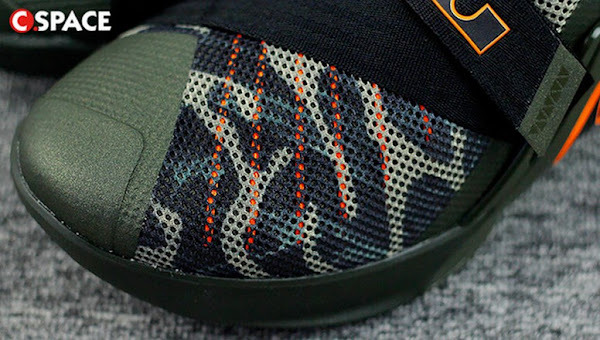 The list includes the presented Camouflage version that utilizes Khaki base, unique camo print and hits of orange. 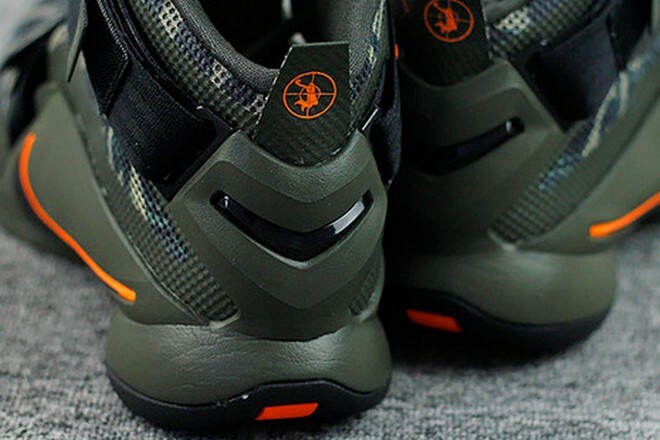 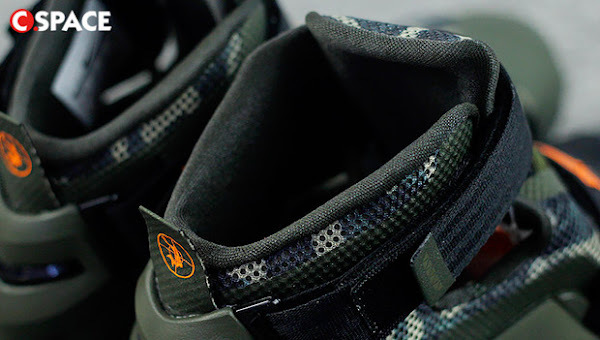 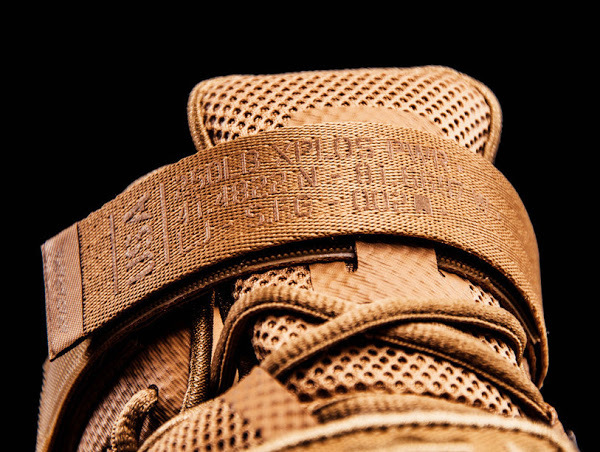 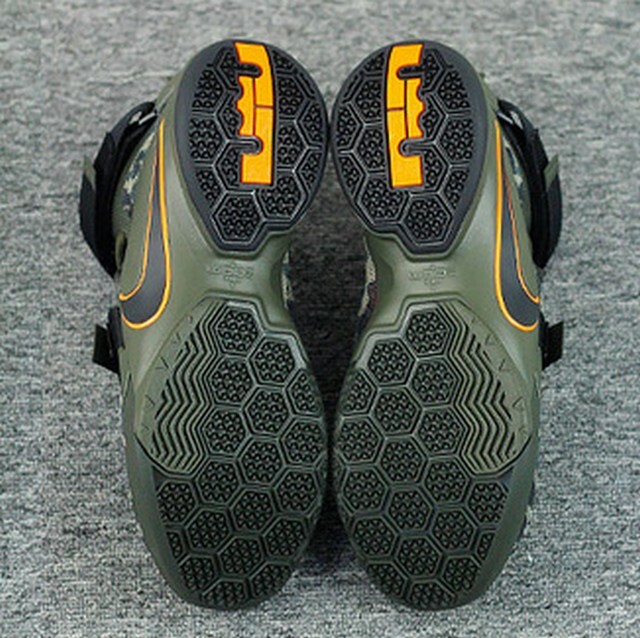 Additionally this special Soldier IX release comes with the Dunkman logo placed on the heel tab. Dunkmans are usually associated with the well recognized Dark Grey and Mean Green combination, but it’s a different case here. 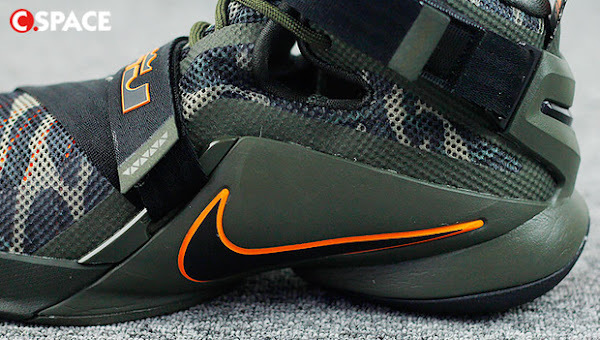 Hopefully we will get to hear the whole backstory soon cause the colorway alone has turned out quite nice. 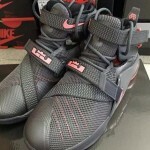 If Eastbay’s release calendar is correct… these should join the Sprites and a couple of other releases on July 2nd.